There were two open seats on the Commonwealth Court of Pennsylvania. 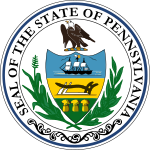 The Candidates in the General Election were selected in the Pennsylvania Municipal Primary Election which was held May 19, 2009. The two leading Republican candidates in the Primary were Patricia A. McCullough (36.2%) and Kevin Brobson (35.9%), followed by Al Frioni (27.9%). The two leading Democratic candidates were Barbara Behrend Ernsberger (22.0%) and Linda Judson (21.1%) followed by Jimmy Lynn (15.3%) Michael Sherman (14.9%) Stephen Pollok (13.5%) and Daniel Brickmont (13.3%). The General Election was held on Tuesday November 3, 2009.